A DUI in California is usually filed criminal charge; each year roughly 200,000 people are arrested for DUI, according to California DUI Law statistics . The smallest total fine for a DUI is between $1,500.00 to $2,500.00. That's at least $500 Million brought up annually from the DUI arrests in California. With soaring deficits and budget shortfalls in California, that money is critical for greedy politicians. The State of California has every incentive to prosecute as many California DUI's as possible, it's become a volume business. Also, you may not realize police officers get paid overtime for making court appearances on California DUI cases. Officers also get lavish recognition for making the most California DUI arrests or getting the most California DUI convictions. So if an officer needs extra money, or wants rapid career advancement, one convenient way to get there may be frequent California DUI arrests, including California DMV DUI. There is no award for an officer who acts fairly and equitably in his dealings with the public, but there are plenty of accolades for officers who make the most California DUI arrests. With 250,000 California DUI arrests annually, there are bound to be mistakes and mix-ups. That's where we come in if you get a DUI in California. Robert Tayac will fight for you. Our California DUI Attorneys will stand for you at the DMV hearing, we will make all necessary court appearances, and we'll take your case to a jury if necessary. We look after everything so you don't have to worry. You go about your daily life while we go to battle with the State of California on your behalf. Robert Tayac can handle your case anywhere in California. You get the same high quality service whether you visit personally, or allow us to serve you over the telephone and by U.S. mail if you get a DUI In California. That's right, you don't even have to leave home to get the legal counsel and representation you need. You'll find our low prices, quality service and availability simply can't be matched by anyone for CA DUI's. For case specific advice, you are encouraged to set up a free consultation either in person, or over the telephone with a California DUI Attorney. 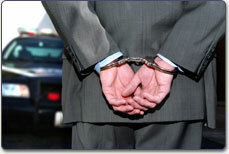 Professional help is always available to you through a California DUI Attorney. We offer free consultation with no time limitations. You can get assistance either through a personal appointment with an attorney if you have a DUI in California, or without leaving your house through telephone assistance by a qualified lawyer.